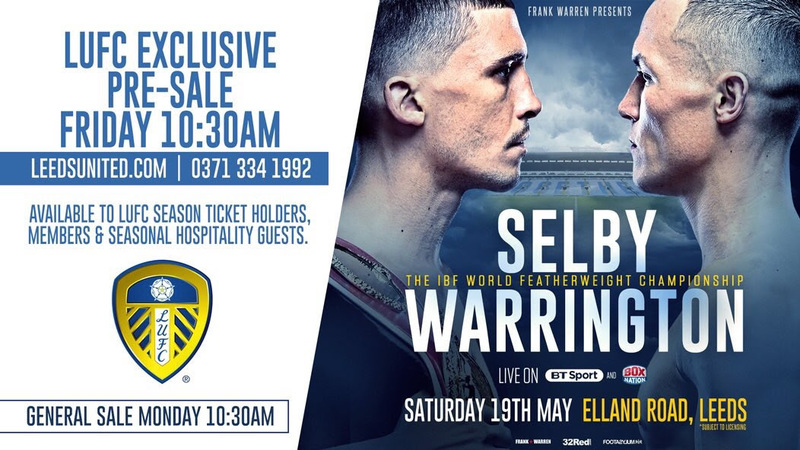 After years of bitter build up and heated exchanges, ‘Leeds Warrior’ Josh Warrington will finally get his chance at Lee Selby and his IBF World Featherweight Championship on Saturday 19th May. The fight will take place at the home of Leeds United FC in front of Warrington’s rabid support, LIVE on BT Sport and BoxNation. The fierce rivals sat down and traded verbals in a tense ‘Face to Face’ with John Rawling back in February. Click on the image above to watch. (4.42) They speak about an interview Ringnews24 writer James Tonks did with Lee Selby. Click here to read the article.